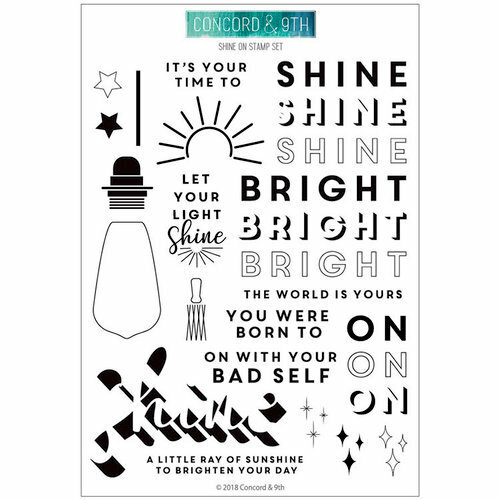 Let your creativity shine with the Shine On Clear Acrylic Stamps by Concord and 9th. There are 26 clear photopolymer stamps included in the package on a 6" x 8" storage sheet. 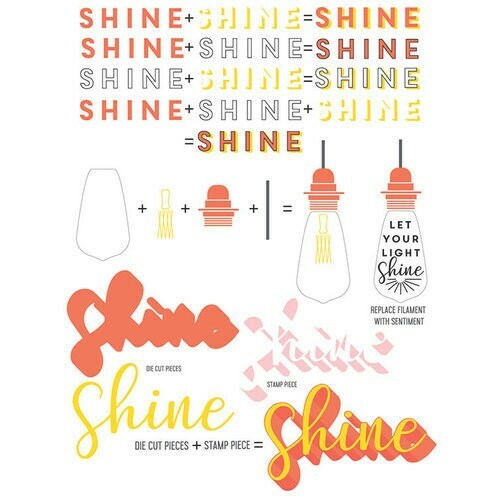 The stamps are made in the USA and feature images including a lightbulb, sun, stars and expressions such as "shine," "bright," "the world is yours" and more. Use the stamps with an acrylic block and your favorite inks (sold separately).